Come sail away! 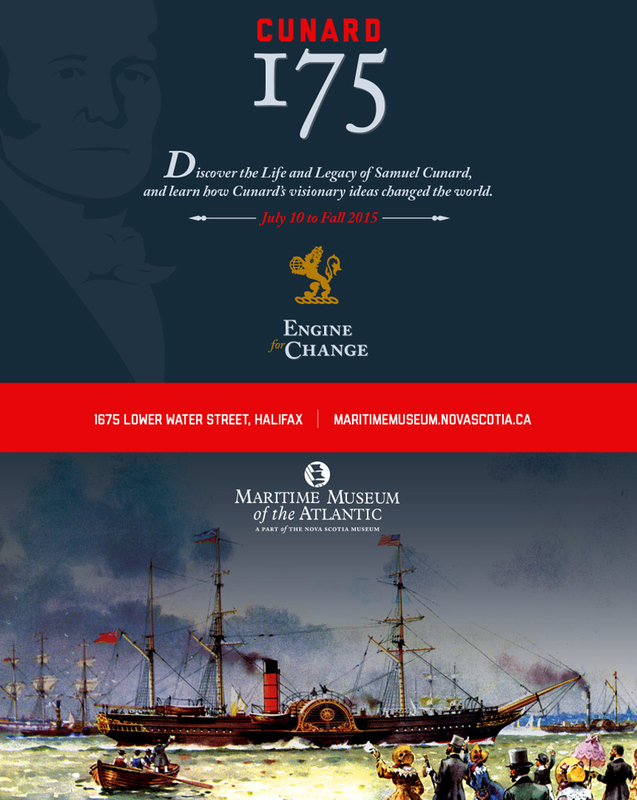 In conjunction with Communications Nova Scotia we have created another stellar digital advertising animation, Print and Social media campaign for the Cunard 175 exhibit featured at the Maritime Museum of the Atlantic. The celebration of the life and legacy of Sir Samuel Cunard is a true testament of a visionary who’s ideas changed the world.